If you’re attending Dreamforce, tips like “bring an umbrella” are handy but there are many more guidelines you need to keep in mind if you want to stay classy in San Francisco. 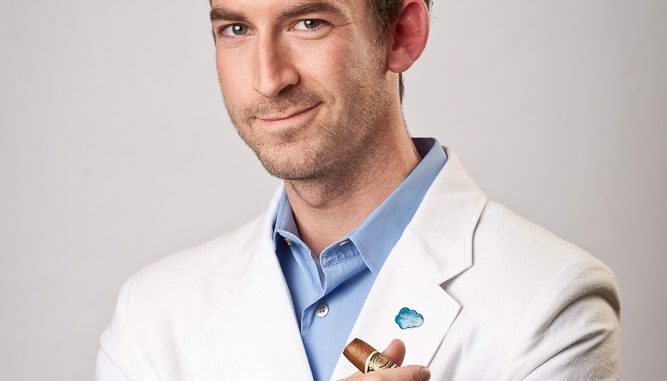 I myself like to wear a white linen jacket after labor day… so this is more of a “do as I say, not as I do” situation… but regardless, if you want to be a gentleman (or lady) at the most rockin’ cloud conference then you need to read this. Ditch your coworkers… you know them and talk to them often. This is a chance to make new contacts. Tell them you want to “divide and conquer”. Be nice to booth dwellers. Even if they are pushy, be polite when you say “no thanks”. Those sponsors pay for a lot of the fun you’ll be having. In a pinch, it’s ok to share a hotel room with a buddy… but don’t tell anyone. Move towards the center seats in breakout sessions. Yes, in an ill-attended session you can get away with it, otherwise taking the aisle seat of an empty row makes you look like a mook. When at a sponsored party you should at least know what the sponsoring company does. If you see an employee, thank them for the drink in your hand. If you don’t want to get rowdy at the gala concert… move back. Business conference or no business conference, the area right in front of the stage is for roughhousing. Set a goal to make three friends a day. I don’t mean gather three business cards, I mean meet three people who you would actually follow up with in the future for any reason (selling them something doesn’t count as a reason). When asking a question, wait for (or step up to) the mic before you start to speak. Take a picture with SaaSy or Chatty. You may think you’re too cool… you may be right… do it anyway. Go everywhere. The community success zone, the campground, both expos, the dev zone. At least see it all, even if you have no agenda. Pay attention. If you’re looking at your mobile device more than the presenter, you’ve probably chosen the wrong breakout. It’s ok to quietly get up and leave. Make sure your name badge is visible at all times. New friends (and old forgetful friends) will appreciate it. If this is your second Dreamforce, plan on submitting an idea for a presentation next year. Before you come to town, install and sign up for lyft or uber. The person next to you in line doesn’t want to hear you complain about how long the line is. Your opinions belong in the post-conference survey… take the survey. Don’t bum rush the presenter at the end of a breakout session. If you must, wait outside the door for them so they can gather their things and get out of the next presenter’s way. Being at Dreamforce doesn’t magically increase your alcohol tolerance. Take it easy, Thorogood. Dave Carroll is the only person allowed to wear jeans. You haven’t earned it like he has. Always stick around for the evening of the last day of Dreamforce for the annual michaelforce.org Cigar Shindig (details and registration coming soon). Your family will still be there if you fly home a day later. Not registered yet? You can attend Dreamforce for free… so no excuses! I’ll see you there.